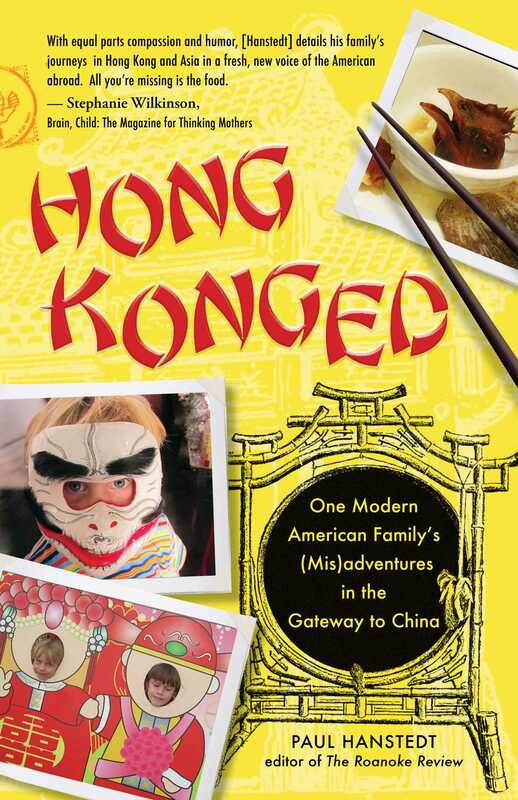 In this alternately hilarious and heartrending memoir, acclaimed writer and editor Paul Hanstedt recounts the true story of his family's recent sojourn to Hong Kong. Hanstedt and his wife and three children--aged 9, 6, and 3--lived in Hong Kong for a year, a year beset by culture clash, vicious bullies, hospital visits, M&Ms, and the worst traffic jam you've ever seen. Through the eyes of the earnest if sometimes clueless Hanstedt family, you'll discover a world you've never known before. But in the end, Hong Konged is about place and family and what it is that makes us human--no matter who we are or where we live. "A neurotic American father of three relocates his family to Hong Kong for one year. "Hanstedt (General Education Essentials: A Guide for College Faculty, 2012), an English professor and editor of the Roanoke Review, is no stranger to international travel, having visited 30 countries on four continents. But living in Asia on a Fulbright exchange program for 12 months became a challenge of epic proportions for him, his wife, Ellen, and their three kids, 9-year-old Will, 6-year-old Lucy and 3-year-old Jamie, whose bright, distinctive personalities are on full display. Though their first few days abroad were marred with the death of Ellen's father, the family trudged on with wide-eyed excitement at the cross-cultural opportunity unfolding before them. From navigating the subway system to procuring palatable food for picky kids in Kowloon restaurants, the culture clash began immediately. The author excitedly dictates stories of rocky junk rides, pedestrian dangers and space issues inside their temporary home, situated 20 minutes from China's border, and he balances the inconveniences with pages of familial history and beautifully described scenery. When Will got bullied, Hanstedt drew on his own painful moments of tortured life at school; in the final pages, he tenderly reflects on Jamie's incremental growth while in China from a baby to a vibrant toddler. "Through text that reads like dynamic blog material and flows with the hyperactive flare of an anxious father of three, the narrative moves along seamlessly with enthusiasm, parental trepidation and a healthy dose of sardonic humor." "We know plenty of fellow parents who daydream about living abroad with their young kids for a year, and more than a few who have done it, but we've never been so entertained by the stories of culture clash, unexpected pleasures, and coping with homesickness as we are by Paul's memoir. His eye for the telling detail of living in strange surroundings (daughter Lucy reveling in a bowl of chicken heads) combined with his heart-on-his-sleeve rendering of his kids' experiences gives us a book that is heartfelt, funny, and fast-paced."